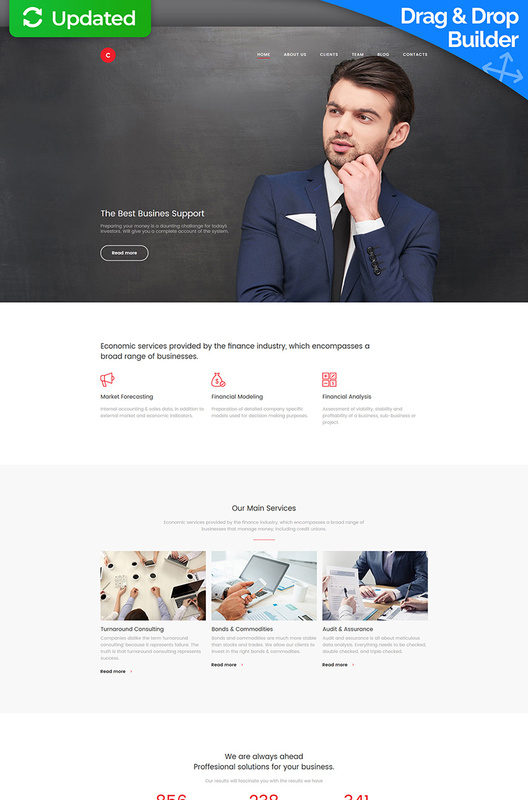 This gorgeous Moto CMS 3 template has a multipurpose design suitable for many businesses such as consulting agencies, financial advising firms, lawyers and IT companies. It boasts a stunning, image-rich design with a full-page header area and a conversion-optimized homepage, convenient navigation with a back-to-top button, a functional footer with working forms, and many more. Thanks to the full SEO-integration you will feel at ease promoting your website in search engines. The template is based on a powerful drag & drop builder to help you modify the look of your website and its functionality in no time.